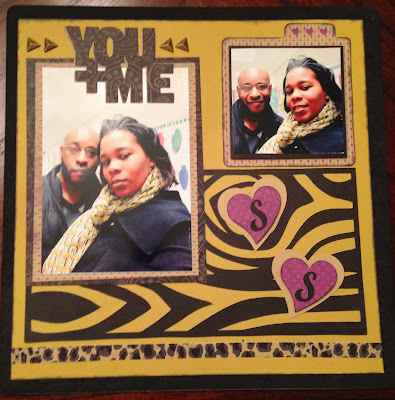 Another fun scrapbook layout using the CTMH Artbooking cricut cartridge. This layout is of my boyfriend and I. I used Laughing Lola paper. The gold triangular studs are a new product available in our Idea Book February 1st!! Wondering how you can get this amazing cricut cart?? Check out my CTMH website and shop with me by clicking here ----> Shalana's CTMH site.